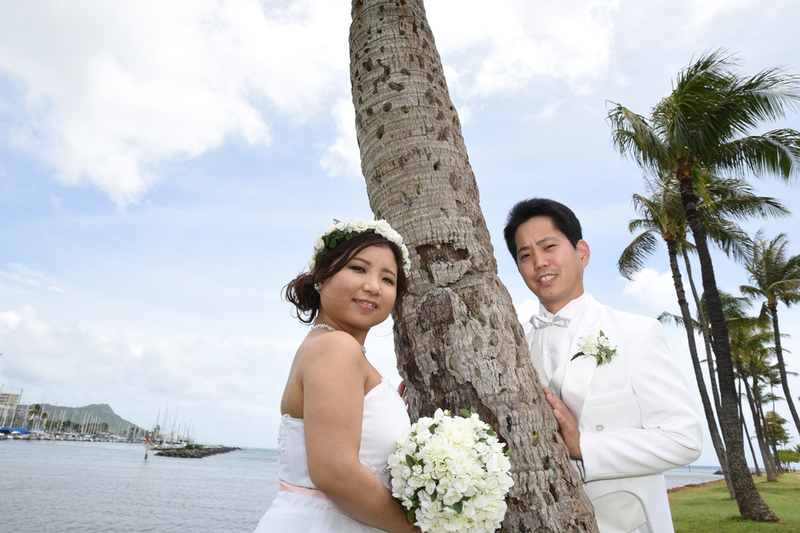 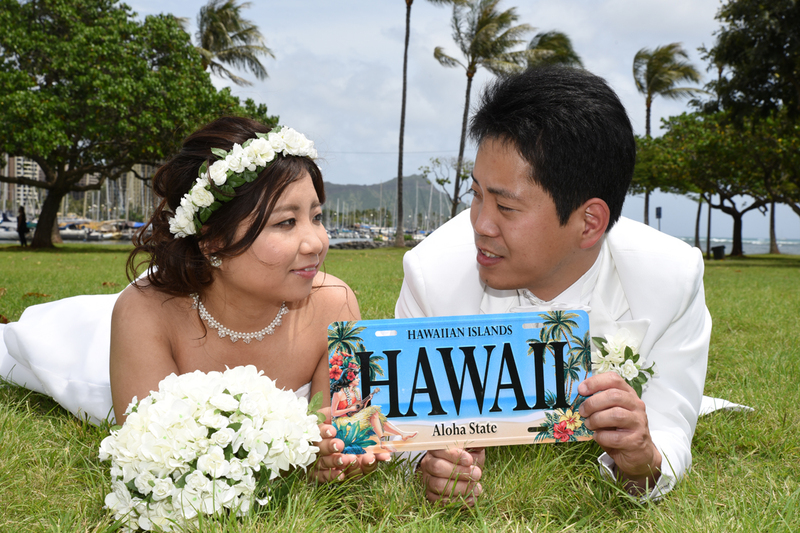 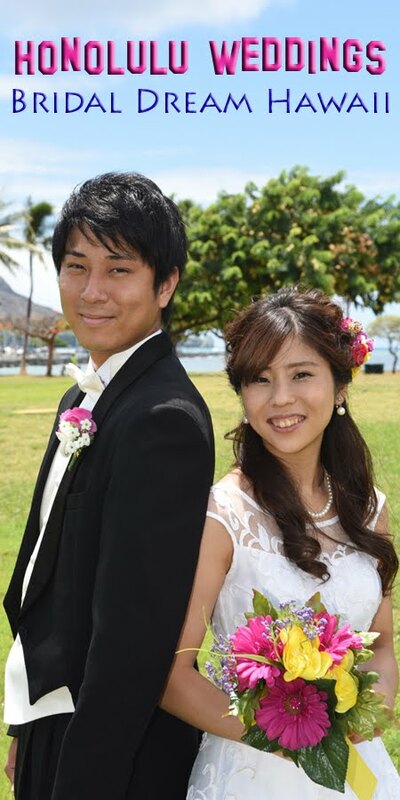 Yuuki and Minami pose by a beautiful line of coconut trees at Magic Island with backdrop of Ala Wai Boat Harbor. 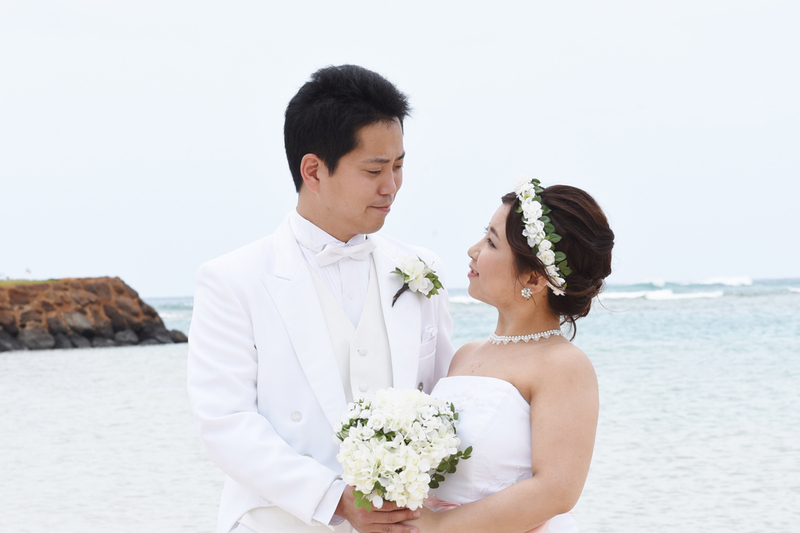 Romantic pose kissing the Bride's hand. Honeymoon photos are a "walk in the park"!